The issues of Black folks only take center stage a few times a year in any substantive and collective way: the annual NAACP convention, the National Action Network convention, maybe a fraternity or sorority event, (R.I.P. to Tavis’ "State of Black America")...Alas, for the most part, our needs as a collective don’t merit a lot of large scale convenings. This is why the Congressional Black Caucus Annual Legislative Conference (CBC ALC) is so important. Rep. Jeffries shares his CBC Message to America. New Yorkers are busy people. In order to reach out to a variety of his constituents, Rep. Jeffries will host outdoor office hours this summer in a variety of locations throughout the 8th Congressional District. Connecting with constituents and hearing their concerns first-hand is of the utmost priority to Rep. Jeffries. We encourage you to meet Congressman Jeffries and discuss any issues of concern and learn more about his legislative agenda. He will be hosting a Congress on Your Corner on August 9 outside of the Coney Island Post Office, located at 2727 Mermaid Avenue. New Yorkers are busy people. 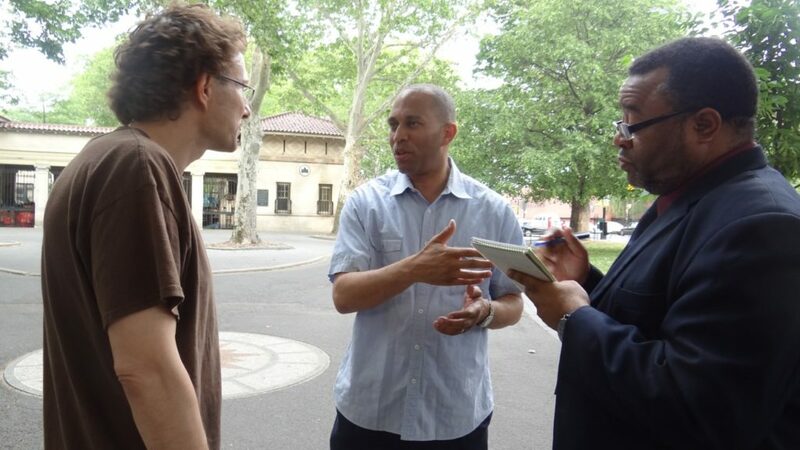 In order to reach out to a variety of his constituents, Rep. Jeffries will host outdoor office hours this summer in a variety of locations throughout the 8th Congressional District. Connecting with constituents and hearing their concerns first-hand is of the utmost priority to Rep. Jeffries. We encourage you to meet Congressman Jeffries and discuss any issues of concern and learn more about his legislative agenda. He will be hosting a Congress on Your Corner on August 6 at the intersection of Van Sinderen Avenue and Broadway, outside of the A/C subway stop.